Todd Barton is a composer, sound designer, multimedia performer, and analog synthesist specializing in Buchla, Serge and Hordijk modular systems. After four decades of exploration Barton is still delving deeply into the ever-expanding frontiers of musical expression: from his DNA derived Genome Music to his innovative scores for plays at the Oregon Shakespeare Festival; from performances of Zen shakuhachi meditation music to avant-garde music for electronic synthesizers and computers; from performing with luminaries of jazz and poetry to lecturing on music and composition from the Middle Ages to the 21st Century. He gives Skype lessons and consultations in analog synthesis worldwide and is currently a trainer for MacProVideo.com. Todd is fascinated and obsessed with exploring sound and its infinite manifestations. This performance will be a live improvisation which “Follows the Sound” of a Buchla Music Easel. Jason E Anderson is an artist from Seattle whose work includes performance, recorded works, video, installation, and music for dance. 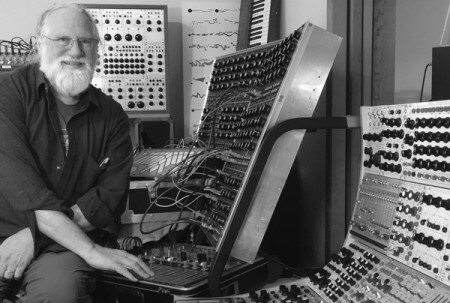 He creates sound using synthesis, acoustic recordings, programming and text. His work emerges from the traditions of experimental music and sound art. Anderson performs and records music under his own name, as Spare Death Icon, as LIMITS with Corrie Befort, and as a member of network computer music collective Mesh Collaborative . He is an active performer, and organizer/producer of performance events in the Pacific Northwest, and he publishes the recorded work of his contemporaries on his experimental music record labels Gift Tapes and DRAFT. Jason’s performance will employ the use of a computer running supercollider to generate events and sequences as control voltages that are sent to an analog synthesizer.